Ask anyone what is their fitness goal and the majority of them will tell you that they wish to lose weight. Weight loss has become the norm rather than the exception. With the incidence of lifestyle diseases on the rise, more and more people are adopting a healthier outlook towards life, which includes shedding of excess weight. There is no shortcut to weight loss. It needs loads of discipline, exercise and sensible eating habits. 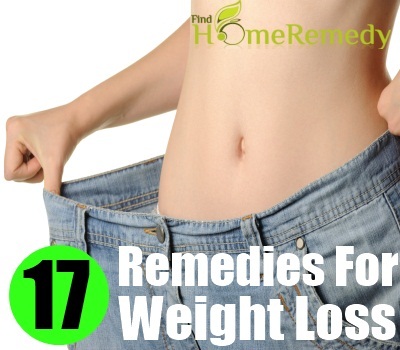 Here are some ways in which you can speed up the weight loss process right within the comfort of your home. Hunger pangs can make you reach out for the cookie jar but eating cookies that are loaded in Trans fats is not the best ways to lose weight. 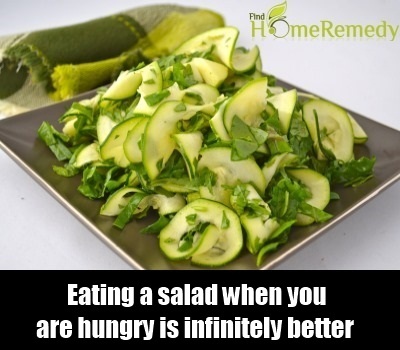 Aim for a delicious salad instead. Whip up your favourite salad, which has kidney beans, cabbage, carrots, lettuce, bell peppers and olives, and make a simple, fat free salad dressing to go along with it. Eating a salad when you are hungry is infinitely better that gorging on a pastry. Proponents of green tea advocate that the beverage is excellent for aspiring weight watchers. 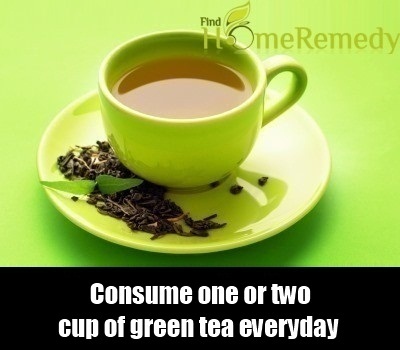 Consume a cup or two of green tea and have it in lieu of black tea. Green tea is an acquired taste, so it will take some time before you get used to your daily cuppa. This is a time tested home cure for weight loss that has been followed by celebrities the world over. Most nutritionists recommend it as it helps to de-toxify the body and enhance body metabolism. Squeeze the juice of a lime into a glass of warm water. Add a teaspoon of fresh honey and you are good to go. Substitute your daily herbs and spices with simple curry leaves. Aim to have at least 3-4 curry leaves with every meal or season your dal and veggies with it. 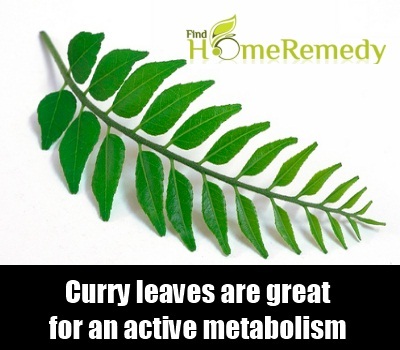 Curry leaves are great for an active metabolism and are recommended for obese people. Apples are great for weight loss. The fruit is rich in fibre, which promotes satiety and keeps you feeling fuller for a longer period of time. 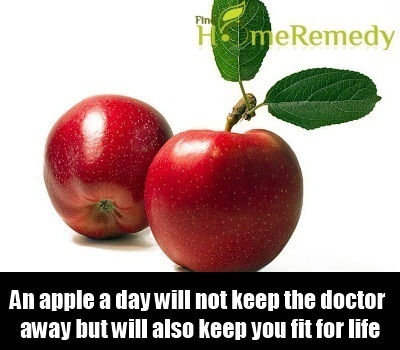 An apple a day will not only keep the doctor away but will also keep you fit for life. I do not recommend a carb-free diet. However, you need to go slow on the intake of carbs if you want to see slow and sustained weight loss. Eat smaller portions of rice, wheat and potatoes. Don’t completely deprive your body of them, as the body needs its daily quota of carbs. 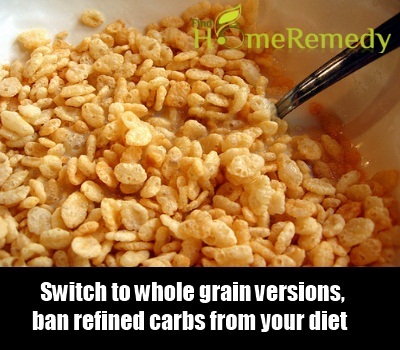 Switch to whole grain versions, ban refined carbs from your diet, as they are higher on calories, and have little in terms of nutritive value. Take mint in your diet liberally. 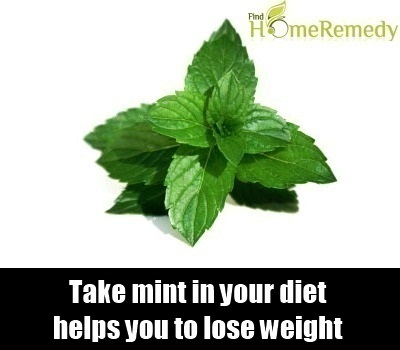 It is said that mint helps speed up the breakdown of fats in the body, which in turn helps you to lose weight. The road to a flat stomach can be essentially seen in a diet that is high on vitamin rich fruits and vegetables. 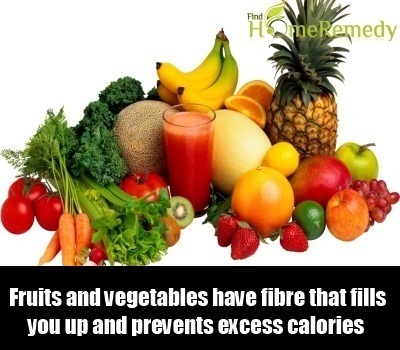 Fruits and vegetables have fibre that fills you up and prevents excess calories from being consumed. They also ensure better absorption of other nutrients like calcium, which are needed for weight loss. 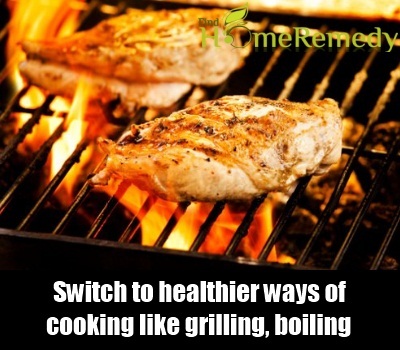 Switch to healthier ways of cooking like grilling, boiling and sautéing. Deep-frying is a strict no-no especially if you have been trying to lose weight. 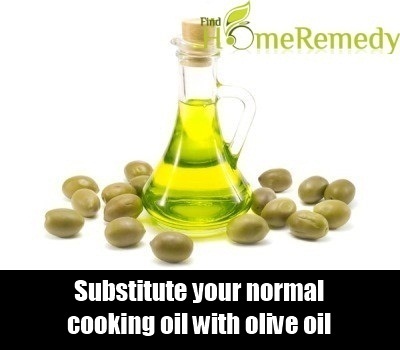 Substitute your normal cooking oil with olive oil, safflower oil or groundnut oil all of which are high on MUFA and PUFA. These oils help to lower the bad cholesterol levels in the body and increase the levels of good cholesterol. 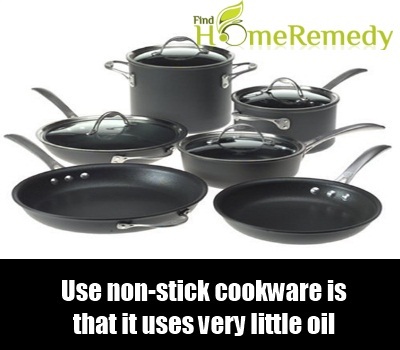 The beauty about non-stick cookware is that it uses very little oil, which means that you end up consuming fewer calories. Invest in a variety of pots and pans to cater to different types of foods and cooking styles. Getting your meat from the butcher becomes healthy if you ask him to trim the fat off the chicken. 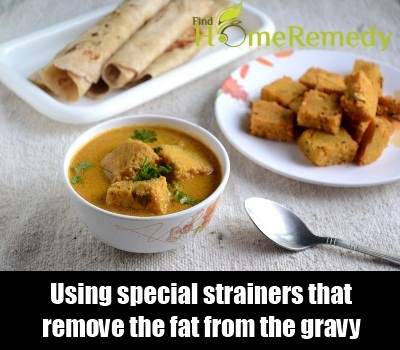 Mutton curries can be cooked and the gravies can be strained by using special strainers that remove the fat from the gravy. 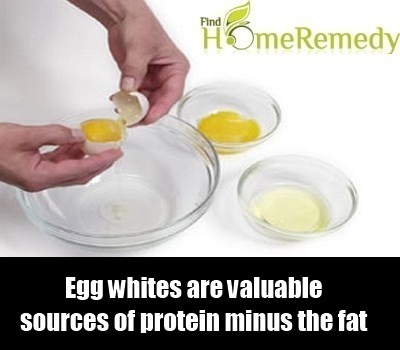 Egg whites are valuable sources of protein minus the fat. Skip the egg yolk and use it on your hair instead for some deep conditioning. You will not only get shinier hair but also a healthier heart. 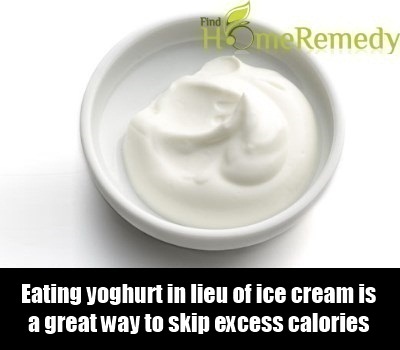 Eating yoghurt in lieu of ice cream is a great way to skip excess calories. Frozen yoghurt especially is delicious and is available in a wide variety of flavours and colours. Being on a weight loss programme of diet and exercise is not enough. 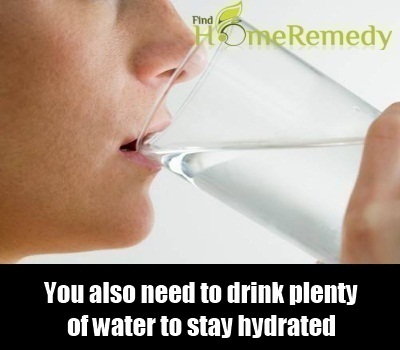 You also need to drink plenty of water to stay hydrated. Water just before a meal prevents you from taking in too many calories and helps to keep you full. Take a walk especially if you do not have to venture too far. Taking the road and the stairs is one of the easiest ways to trim belly fat without making a conscious effort to lose weight. 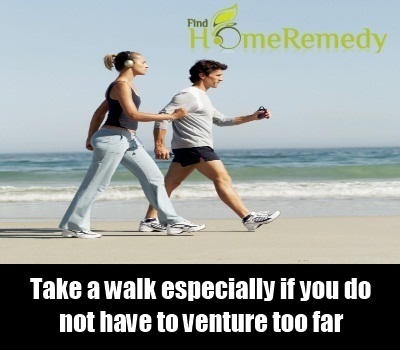 Walking is low impact and is a good cardio vascular exercise. 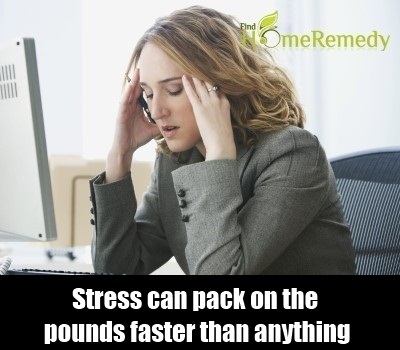 Stress can pack on the pounds faster than anything else in the world. Cut out stress by thinking happy thoughts, laughing and making merry. Keep a balance between work and play and meditate. Make sure you get enough sleep at night. Sleep is vital for the body to carry out its innumerable metabolic processes. So make sure you get at least 8-9 hours of regular sleep.